JERUSALEM - A Palestinian stabbed an Israeli army officer in the chest near a West Bank settlement on Sunday, moderately wounding him before Israeli soldiers shot the attacker and apprehended him, the military said. The incident followed a weekend surge in Palestinian attacks that shattered weeks of relative calm. Four Palestinians, one of whom held Jordanian citizenship, were shot dead over the weekend during assaults on Israelis, according to Israeli authorities. The spike in violence has spurred the Israeli military to send troop reinforcements to the West Bank. 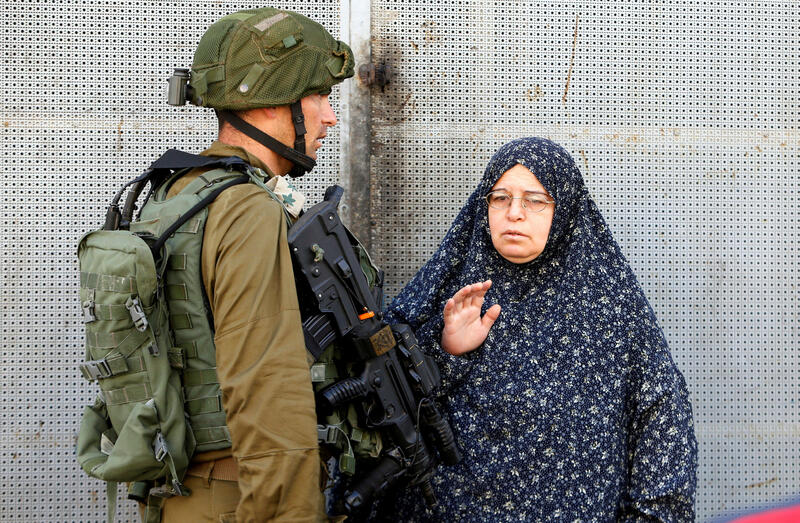 The violence began a year ago and for months included near-daily Palestinian stabbing attacks​. They have killed 34 Israelis and two American visitors, with about 214 Palestinians killed during that same period. Israel says the vast majority were attackers, though Palestinians have accused Israeli forces of using excessive force or killing people who were not assailants. In recent months, the violence had slowed to a trickle. After a series of stabbing and vehicular attacks, the military sent additional troops Saturday to a flashpoint West Bank area. Israeli Prime Minister Benjamin Netanyahu warned that the potential for violence could rise as the Jewish high holidays approach. On Sunday he instructed police to beef up forces in Jerusalem and its holy sites and said “determined action” should be taken against those who breach the peace. He said that action will be “increased” against Palestinian incitement to violence on social network sites, and that security will also be stepped up along roads in the West Bank. Israel has blamed the violence on incitement by Palestinian political and religious leaders. The Palestinians say it is rooted in nearly 50 years of military occupation and dwindling hopes for independence.